There are now 308 people of a pensionable age for every 1000 working people in the UK, according to the Office for National Statistics, and numbers are set to rise still further over the next few years. ‘Age’ has been on the political and social agenda for a while now, which means that older people are planning for their retirement years in a way they haven’t been able to in the past. Thankfully, there are more options now, the preferred one being to adapt your family home to make the management of stairs and accessibility easier. The Tower Lifts design and installation team has been creating bespoke residential lifts for over three decades now, and we’ve found that demand for home elevator services is growing year on year. Our residential lifts are designed specifically for use in a domestic setting. Each one is designed to fit the space available, and to integrate into the existing architecture of your home. 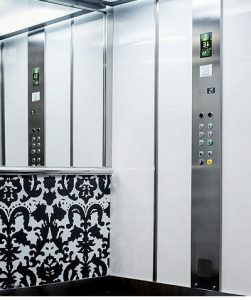 As a UK lift company that has extensive experience in providing home elevator services we know how important it is that clients are involved in the design and scheduling process; a residential lift is more than a convenience, it’s an addition to your home, and customising it to match your style and décor is an important part of the process. For older clients with limited mobility or impaired visibility, home elevator services can offer ease of access and the ability to maintain independent living in your own home. Every residential lift we design is unique, with doors, and cabin size adapted to your particular requirements. Cutting-edge technology and design means that residential lifts now offer a smooth, streamline passenger experience and the look of the lift is elegant and stylish.